Mobil home of 32m ² for 6 people, composed of a corner cooks equipped, a stay, a room with a double bed (direct access to the room of water and possibility of adding a bed baby), of a bedroom with 2 separate beds, a bedroom with 2 bunk beds, a bathroom with shower, separate toilet and a mezzanine terrace of 12m ². 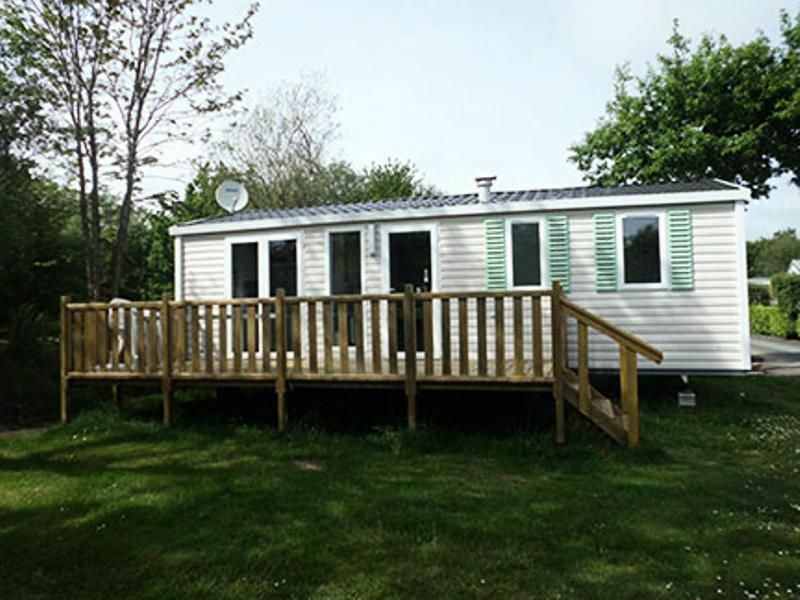 The mobile home is equipped with a 4-burner gas hob, a fridge-freezer, a microwave, a coffee maker, a toaster and all the necessary kitchen utensils . Blankets and pillows are provided. The accommodation has a satellite dish and demodulator (TV not provided). The terrace is equipped with garden furniture with table, chairs and parasol. Access: From Quimper (26km), take the D137, until Pont l'Abbé then follow Plomeur.